Doubling the size of the structure brings with it the challenge of using existing design cues while introducing a compatible and distinct enhancement. 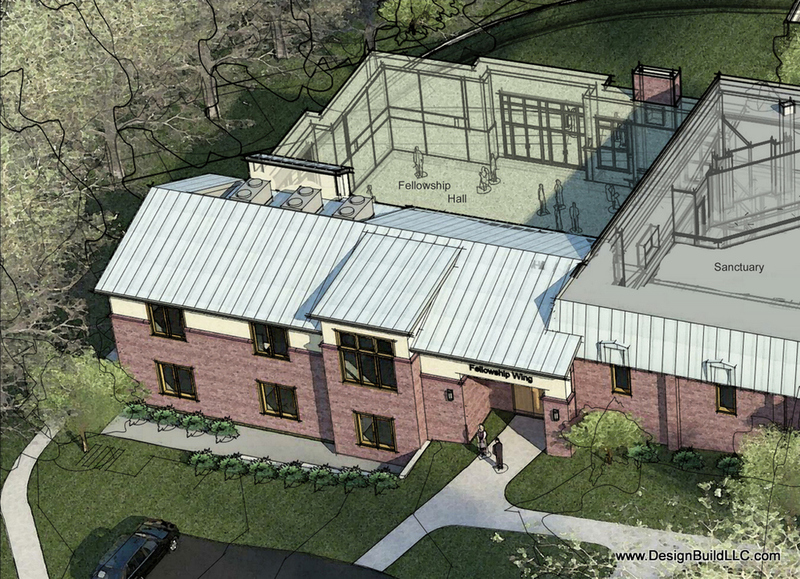 We felt the addition should have a traditional sloping roof that connotes an approachable scale with standing seam metal matching the existing mansard. A covered portico entry has been added. The new meeting room is given a tall feature window. Its interior will be taller, with a vaulted ceiling, to give it addition appeal as a special space. A new covered portico is added to the new wing.